A trust is a legal entity distinct from the person or persons creating it. Trusts are often used to provide for minor children or people not capable of taking care of themselves. They can also be used to segregate assets from your personal assets for management purposes, liability purposes, or potential tax reasons. 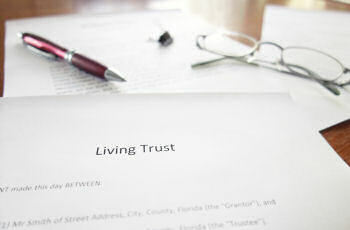 Trusts consist of trustors, or the people creating the trust, a trustee who manage the assets of the trust, and beneficiaries who are entitled to receive the income generated by and/or the principal contained within the trust. These three different groups do not always have to be separate individuals, but in some cases this is required depending upon your goal in creating the trust. At the Law Offices of Benjamin E. Golden, PLLC, we have created trusts for clients in order to provide for their minor children, incapacitated relatives, and to segregate their assets for liability purposes and potential tax savings. Contact us now at (210) 802-9377 for a free consultation to discuss creating your trust.